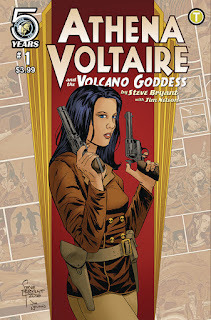 The Fellowship was fortunate enough to obtain a copy of ATHENA VOLTAIRE AND THE VOLCANO GODDESS #1 from Action Lab Comics. Steve Bryant writes, draws and letters, and Jim Nelson colors. Athena has returned from another harrowing adventure (this one involving a magical egg, a ritual and a couple of beheadings) just in time to go to the premiere of a movie made about her. She meets the lead actor Carter, and then has to rush off to meet her father. Dad is looking to track down a necklace that’s linked to the Hawaiian goddess of volcanoes, and seems to be attracting unwanted attention with his search. The story is set in the 1930s, so the race to find this necklace will certainly involve Nazis (especially given their liking for the occult). And this issue has its fair share of pulp adventure in order to set the stage. This is already an exciting story, and Athena is a very likeable character. And the art does a very nice job of capturing the style of the time period as well as expressing emotion and action. Athena may not be an archaeologist, but she sure knows how to take care of herself in a dangerous situation. This issue is the start of a great adventure, so get on board now. 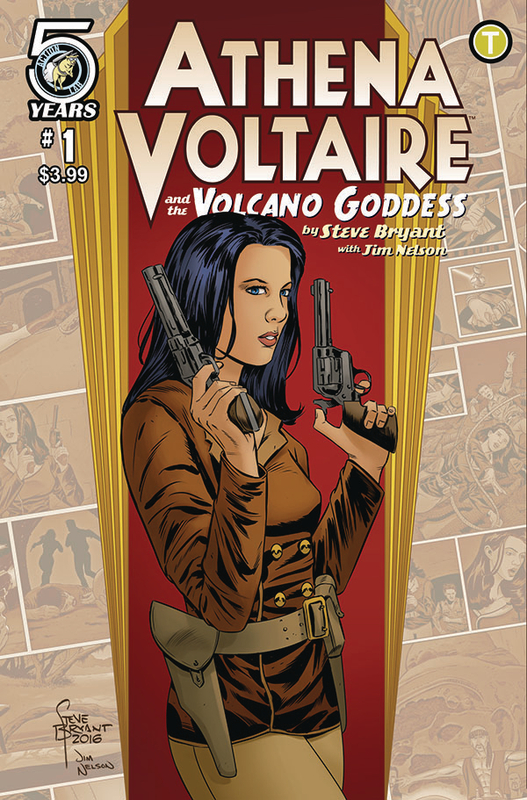 ATHENA VOLTAIRE AND THE VOLCANO GODDESS #1 is available now at your FLCS or at actionlabcomics.com.